he cold weather the Lighthouse Supported Living Inc. has reached a donation milestone enabling the expansion of the hours of their Mobile Outreach for an additional two hours, now running from 4:00pm to 10:00pm. The Lighthouse Supported Living Inc. is a non-profit housing provider offering emergency shelter, supported living and affordable housing for those in need. The LMO teams engage homeless and street entrenched individuals for the purpose of assessing need and then assisting them in accessing shelter, health services, and various social services. The Lighthouse Mobile Outreach (LMO) service began on February 18, 2014. Since that time two Lighthouse staff, using a refurbished ambulance have been out in the community of Saskatoon between the hours of 5:00pm until 9:00pm, seven days a week. From its inception in February over 700 individuals have been assisted via the Mobile Outreach. Averaging 10 service encounters per night over the first 6 months, there were 1724 person-service encounters. Of those served there was a 4 to 1 male/female ratio. LMO contacts occur because of calls received regarding vulnerable individuals needing assistance. Additionally, many contacts are made by LMO staff initiating contact while out on the street or by individuals themselves approaching them directly. In the first few months after LMO service began, the heaviest proportion (40%) of requests for service came from Brief and Social Detox (BSD). Also during the initial months, local residents/businesses accounted for another 30% of requests on average. These two sources of referral have diminished significantly to where in May, June and July, Brief and Social Detox accounted for only 8% and requests from local residents/businesses has become negligible. By contrast, “street level” contacts have grown from very few to now constituting upwards of 68% of the total requests. This is indicative of the LMO team’s successes in establishing trust with vulnerable, unstably housed or homeless individuals and of their effectiveness in diverting them into more appropriate shelter. Most LMO client contacts in the community involve relationship building, personal support, providing service information and sometimes providing food, water or socks. A good number of the requests result in transportation to access services. Two thirds of all LMO referral are for the Lighthouse Stabilization Unit’s (LSU) services. General shelter, LSU services and BDU services accounted for 43% of all support services which LMO helped 50% of all transported individuals to the LSU, 10% to other Lighthouse Shelters, 9% went to Brief and Social Detox. Of all referrals, 10-15% were for assistance in accessing medical facilities or medical services. The Lighthouse Mobile Outreach vehicle was purchased thanks to funds from the Saskatoon Community Foundation, with support for staffing from the Communities Initiatives Fund and the RUH Foundation Community Mental Health Endowment Granting Program. Your donations make a difference! Please consider becoming a monthly donor to keep initiatives like the Mobile Outreach on the road. 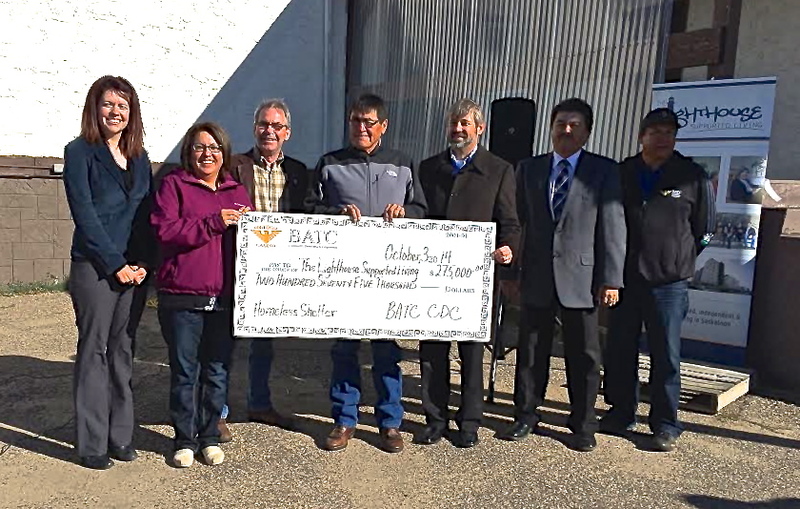 The BATC Community Development Corporation (BATC CDC) announced today a grant of $275,000 to the Lighthouse Supported Living for the development of a new emergency shelter in North Battleford. A cheque presentation today at 11 am welcomed the Lighthouse to the Battlefords. The Lighthouse will be providing emergency shelter for those experiencing homelessness, 3 meals a day for those who are staying there, and programming and support to help individuals find and retain housing in the Battlefords. “To have a facility that will provide support and resources to the people of our First Nations, the Battlefords and surrounding communities, will only be a benefit,” said Chief Lori Whitecalf of Sweetgrass First Nation. Chief Whitecalf is a Board of Director with BATC CDC and is also the Tribal Chair for Battlefords Agency Tribal Chiefs. The Lighthouse has already purchased a property in downtown North Battleford for use as a shelter but the building requires extensive upgrades including a proper fire suppression system. The shelter expects to open its doors to those who are homeless or struggle to find a safe place to live in November. The grand opening of the Lighthouse Supported Living Emergency Shelter in North Battleford will be announced at a later date. A men’s and women’s dorm as well as a separate area for those who are intoxicated will be in the facility, as well as rooms for families. Admission to the shelter will be denied to highly intoxicated and/or violent individuals who may pose a threat to themselves or others. In those cases, the police will be called. The Lighthouse currently operates an emergency shelter for men and women, supported living suites, and independent affordable housing suites in Saskatoon. Additionally, the Lighthouse opened a Stabilization Unit last summer for those who are intoxicated or under the influence of drugs to provide a safe, supervised place to sleep. BATC Community Development Corporation (BATC CDC) is responsible for distributing a portion of the Gold Eagle Casino profits by providing financial support to non-profit and charitable organizations. 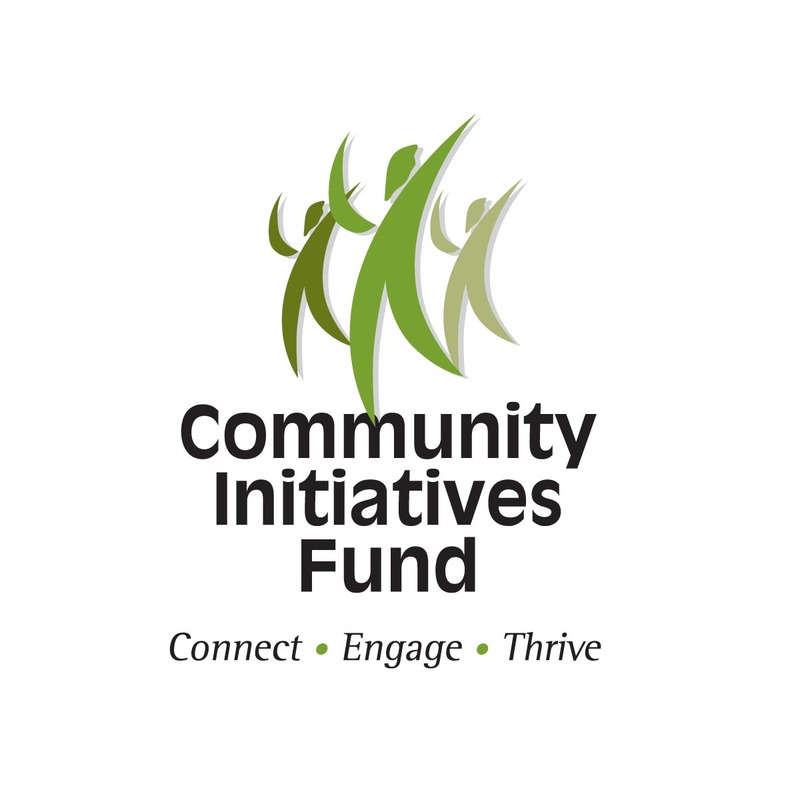 Our area of support includes the Battlefords and surrounding communities, the First Nations within Battlefords Agency Tribal Chiefs and Battlefords Tribal Council, and several independent First Nations. BATC CDC continually meets its vision of supporting the development the healthy communities, by implementing the core value, “improving the quality of life”. To see pictures from the announcement click here. To donate towards the Battlefords Emergency Shelter click here.